Can we all agree that sometimes the best food comes served out of a mini establishment on four wheels?? Eric & I just returned from our long-awaited week out in Hawaii, on the island of Oahu – giving us plenty of time to adventure and relax around the whole island. I’m excited to share our vacay details incase you have a visit to the islands in your future…or I can convince you to plan one! So back to those four wheels…I’ve always been a fan of food trucks. They’re quite popular in Austin, where E & I went to school & met. 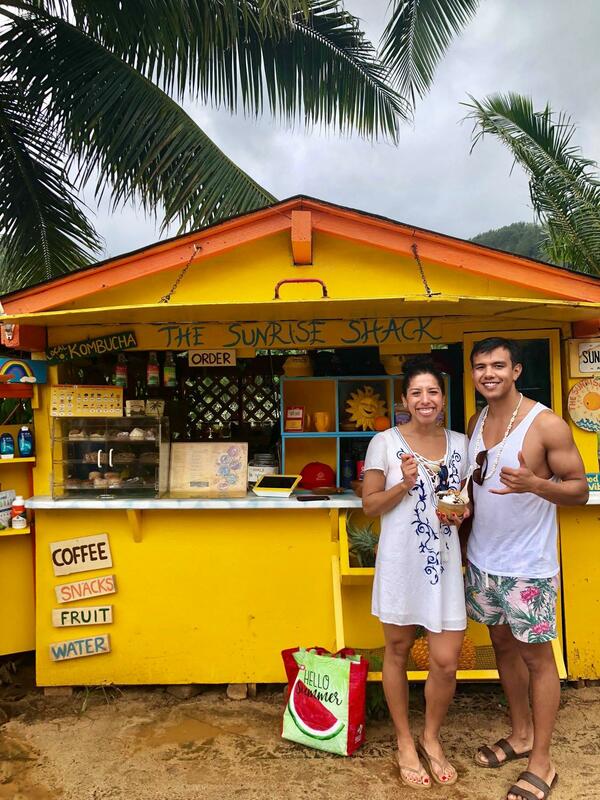 So when friends recommended a couple trucks on Oahu, and we researched more eateries of our own, a self-guided North Shore food truck tour quickly because a must-do. 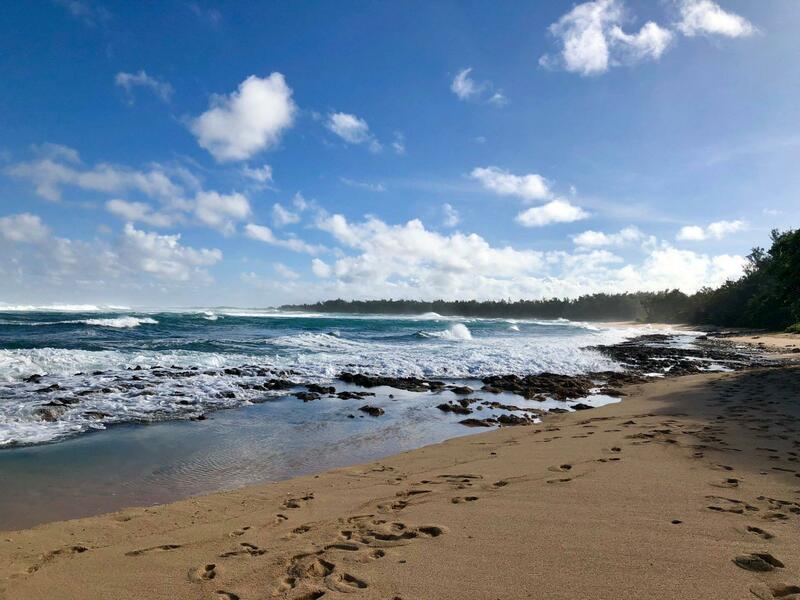 The North Shore is home to beautiful beaches and an extensive food truck scene, where they serve up a variety of popular eats from garlic shrimp to acai bowls. 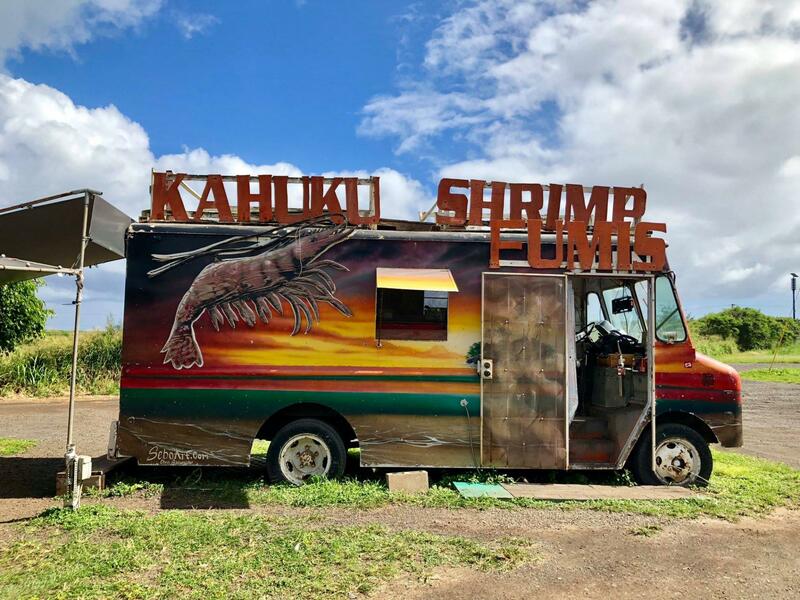 Bonus fun: not only is the food delicious, but the trucks are pretty darn cute themselves and nestled amongst Hawaii’s gorgeous flora. 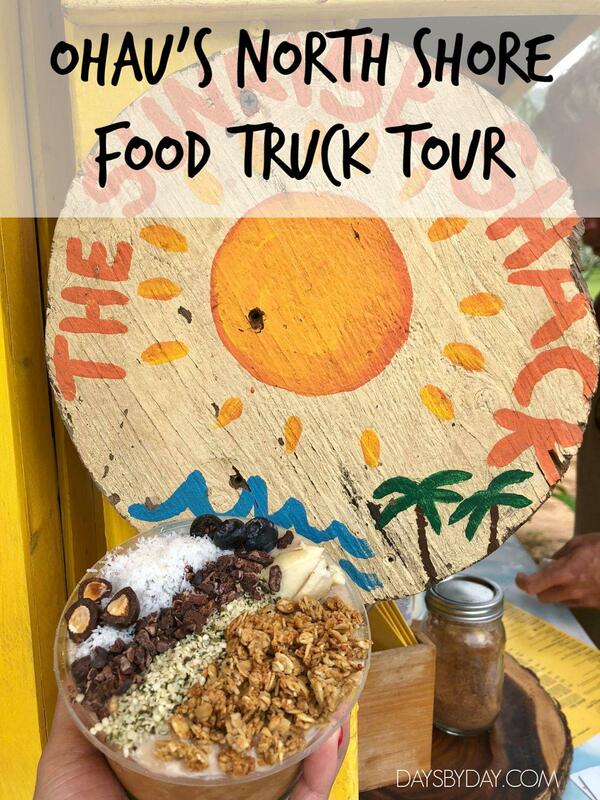 Check out our North Shore food truck tour below! These tasty eats are in close proximity to each other, making it easy to drive in-between! 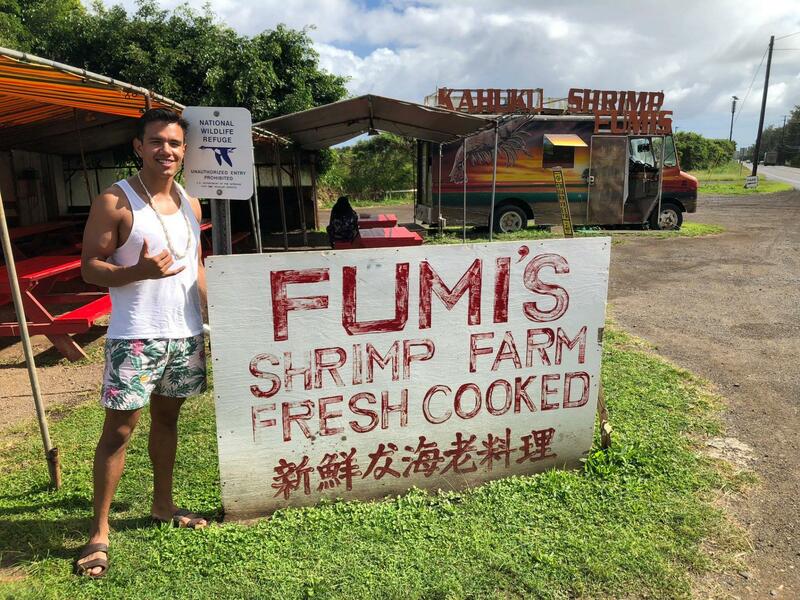 Stop #1: Fumi’s Shrimp Truck // Our first stop served up freshly cooked shrimp in a variety of styles – we opted for the butter and garlic. Mmm, tasty! 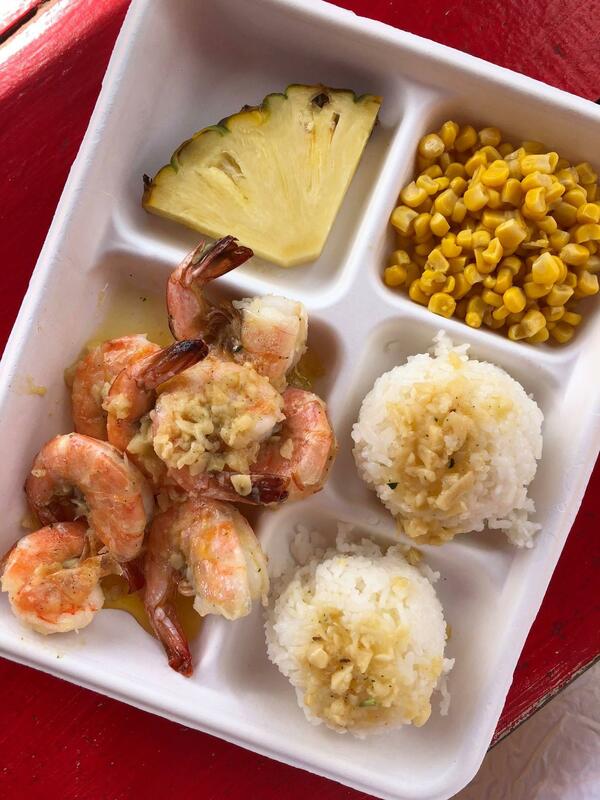 Served up with rice and fresh pineapple, this dish was perfectly savory. Fumi’s features a nice shaded patio with tunes for your enjoyment (as well as clean restrooms, important for road trips hello!). Stop #2: The Sunrise Shack // This second stop is located across popular Sunset Beach! The waves were huugeee, so it was cool to watch them while we ate. 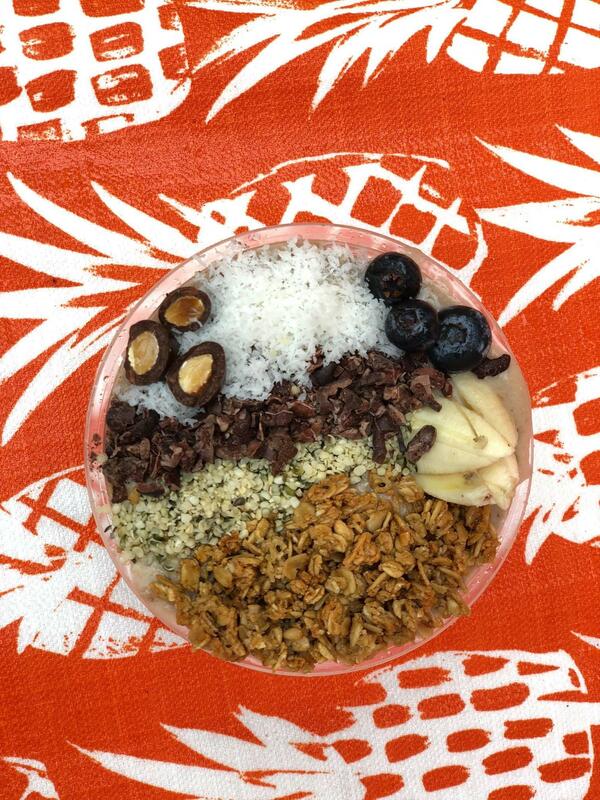 The Sunrise Shack serves up a mix of healthy eats, but the smoothie bowls take the cake for the most beautiful. It isn’t all about the ‘gram either, they are just as delicious as pretty! E & I couldn’t get enough of our Monkey Bowl. Stop #3: Aji Limo // Y’all, I think this was my favorite truck of all. Aji Limo served the best, freshest poke I’ve ever had! 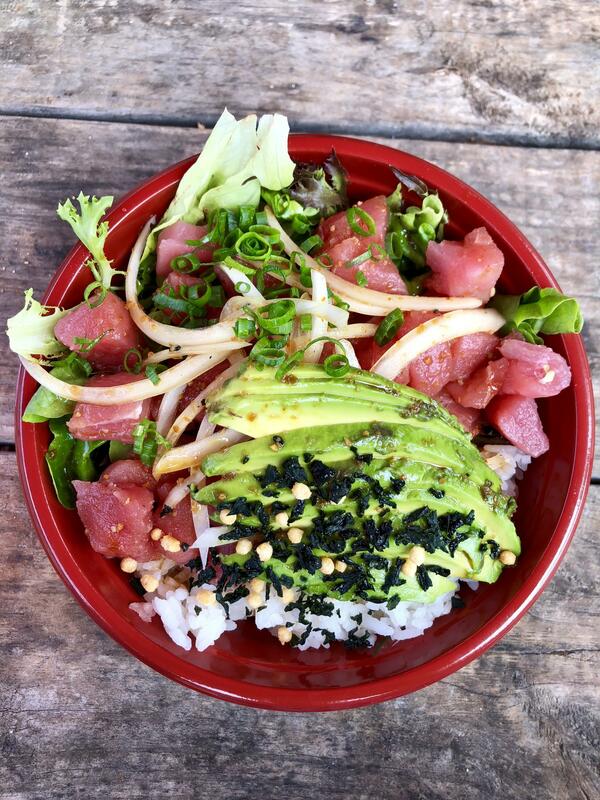 If poke isn’t your jam, don’t worry, there are still plenty of yummy choices. Another reason I loved this spot? The rainbow bamboo truck was just so darn cute, and the benches were settled among palm trees, flowers, and string lights. Bonus Stop #4: Wili Wili’s Shaved Ice // Ok, ok, so technically this isn’t a food truck, but you order out of a window outside, so I figured I could swing it! 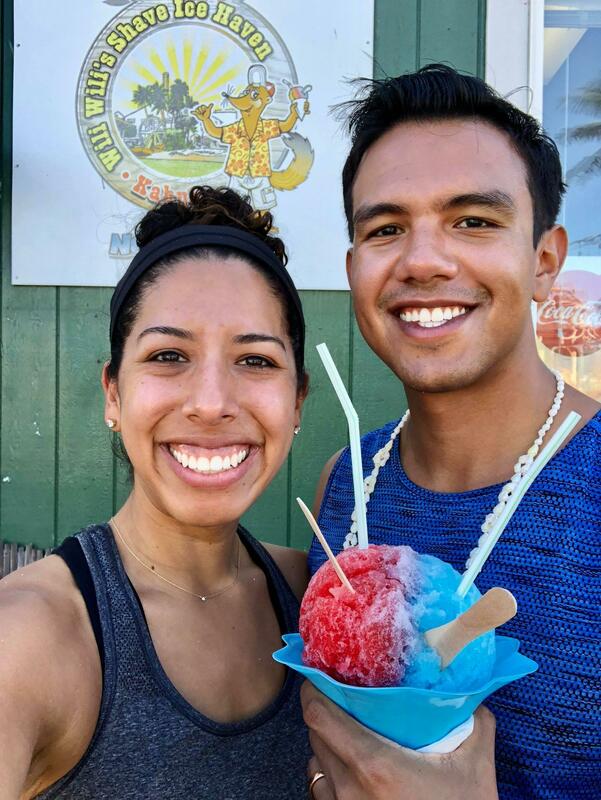 Shaved Ice is everywhere on Oahu, but out of the several we tried, Wili Wili’s was #1. Trust me, order a small to share, it’s already huge! 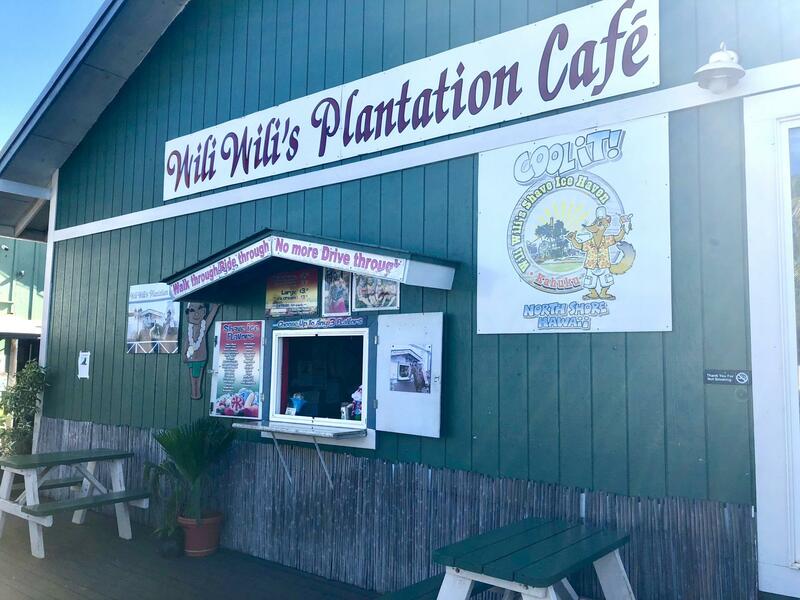 Countless flavors and there’s even a statue of Wili Wili himself – highly reco this spot! 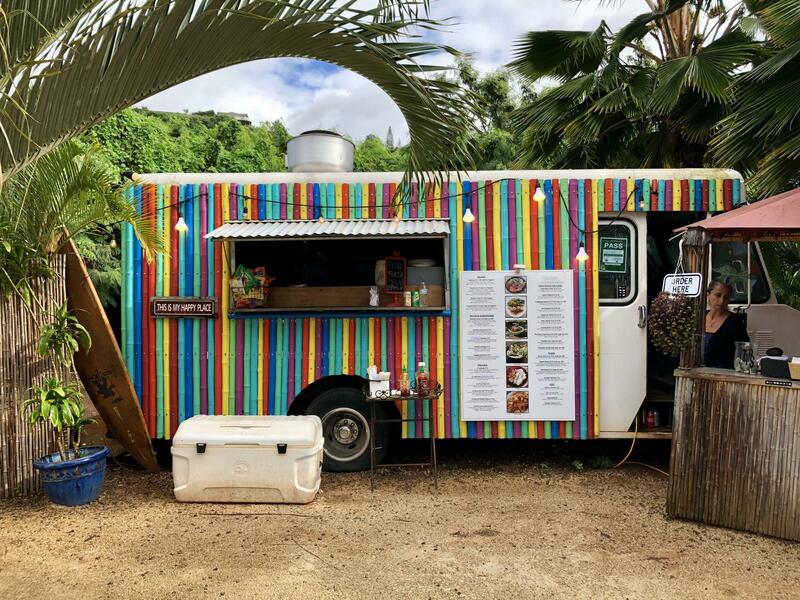 If you’re a food truck fan like me, I can’t suggest the Oahu’s North Shore enough. Now tell me, which from our tour sounds like it would be your favorite? ?